Renee Rouleau Anti Cyst Reviews: Is It Really Good For Your Skin? 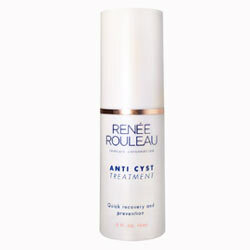 Renée Rouleau Anti Cyst Treatment Review: Ingredients, Side Effects, Detailed Review And More. What is Renée Rouleau Anti Cyst? 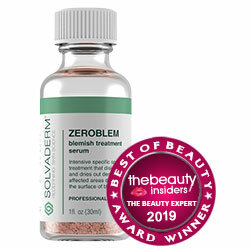 Soothe inflammations to relieve the pain, redness, itchiness and swelling often characteristic of stubborn, cystic acne. Renée Rouleau products are all about giving you the best treatments that your skin truly needs, which is why all products from this brand are very specifically formulated to serve nine skin types. However according to reviews results are temporary. What are the Ingredients in Renée Rouleau Anti Cyst ? Citric Acid: Another AHA that gives your skin a mild exfoliation to facilitate skin regeneration and turnover which, with regular product application, lifts damaged skin cells, and in the process, lightens dark marks and brightens your overall complexion. However, People with sensitive skin should avoid using creams containing citric acid as it may cause irritation or a rash to form. Renée Rouleau Anti Cyst must be applied as a spot treatment on affected areas of your skin only, following your regular skin care routine. For best results, the manufacturer recommends using this with other Renée Roleau products that include Vitamin C&E Treatment, Post-Breakout Fading Gel and Rapid Response Detox Masque. Use this product 2 to 3 times weekly to prevent cystic acne where these usually appear on your skin. The manufacturer guarantees that this product is rid of endocrine-disrupting phthalates, parabens, and gluten, irritating synthetic fragrances, and pore clogging sulfates. Renee Rouleau Anti Cyst reviews attest to the effectiveness of this product in quickly relieving cysts and preventing new zits. However the effect of this product is temporary. This product is expensive relative to quantity compared to most other similar products. This product has limited distribution which may make access challenging most especially outside of US territories. The manufacturer has not openly disclosed of this product’s ingredients online which, as of time of writing, isn’t also available elsewhere. Renee Rouleau Anti Cyst reviews have highlighted that this product works for some and not for others. Renée Rouleau Anti Cyst Treatment is made of three sound active ingredients which, together purifies, clears and protects your cystic acne prone skin. Also, unused items purchased on the website can be returned within 30 days of the ship date. Despite the manufacturer’s claims pointing to this product being sage and “clean” (that is, read from toxic chemicals), the full ingredient list has not been published online. If you have cystic acne issues, you need to know exactly what you’re planning to put on your skin. If you want more certainty, you can find other brands that are more transparent about what their products are made of.